For a long time, i didn't try with creating apps with BDD or TDD.So i decided to go with rspec, after reading the Rails Views from The Rspec Book.A view spec is a collection of code examples for a particular view template.View specs live in spec/views and render view templates in isolation. Let's generate a fresh app with rails version 3.0.6, rspec 2.3.0 & rspec-rails 2.3.1.As we are using rspec, so remove the test folder from the rails project direcory. If you type rails generate, the only RSpec generator you'll actually see is rspec:install. That's because RSpec is registered with Rails as the test framework, so whenever you generate application components like models, controllers, etc, RSpec specs are generated instead of Test::Unit tests. 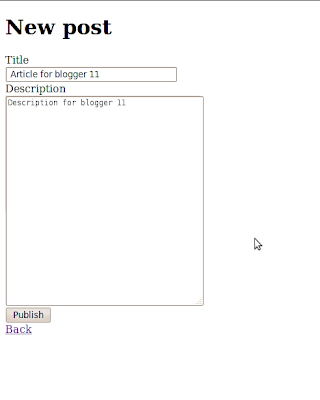 First i have generated my model with title and description attributes for creating a simple form. 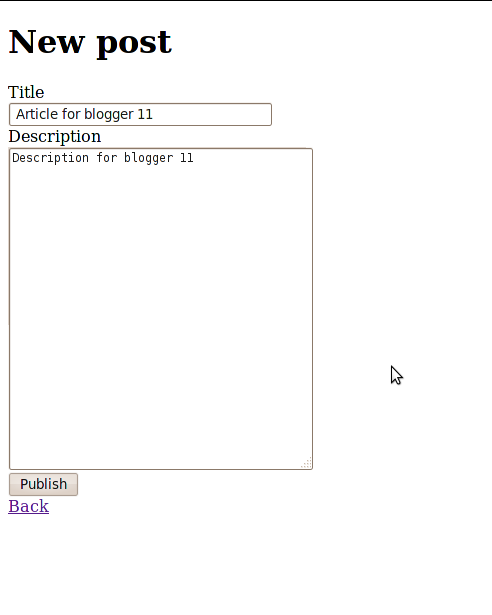 Second, i have generated my post controller with actions index, show, new, create, update and delete. Stub_model method generates an instance of a Active Model model.We use stub_model in any example (model, view, controller, helper), it is especially useful in view examples, which are inherently more state-based than interaction-based. ruby -S bundle exec rspec spec/views/posts/new.html.erb_spec.rb. Then you should see the spec fails.Let's do the changes in the views template views/posts/new.html.erb, posts controller and make the spec passes the test. ruby -S bundle exec rspec spec/views/posts/show.html.erb_spec.rb. 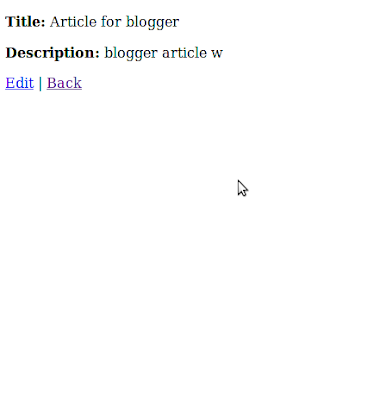 Then you should see the spec fails.Let's do the changes in the views template views/posts/show.html.erb, posts controller and make the spec passes the test. On clicking the edit link, we are moving to edit page and calling the edit action.